Activision VP Dave Stohl says that in order to properly capitalize on opportunities, the publisher has adopted a new development strategy. The days of developers working on multiple projects are a thing of the past, or at least they are at Activision. Activision Worldwide Studios VP Dave Stohl, who oversees all of Activision's owned developers, says that a studio trying to make two or more games at the same time "doesn't make sense anymore." "People want the freedom to put all their resources against the big opportunity, and that's what we're trying to do," said Stohl. "[The industry is geared towards] big cross-platform launches in all territories with massive network support on the backend. So the opportunities and projects are just bigger; they're more challenging. And it absolutely takes focus. I mean, it really does." 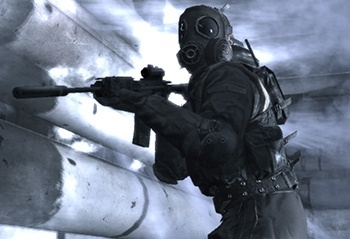 This isn't a permanent state of affairs for Activision though, and Stohl stays forward planning and predicting new trends is very important: "You can't think only about today ... you have to say, 'What are our three-, four-year plans,' so that you don't make short term mistakes that you're gonna regret in the long term," he said. "You've gotta anticipate things, things like new hardware, hardware transitions, the cycles of it all, that kind of stuff, and then anticipate, and try to be smart about it." Activision's strategy sounds like a sensible one, especially if it is taking steps to ensure it can still remain flexible should the need arise. Although it's unlikely every single upcoming Activision game is going to be amazing, studios devoting all their time and energy into a single project will hopefully produce some excellent games.